I’ve always found the easiest way to stay motivated to push through your workout is to get your motivation WHILE you work out. Reading a magazine article or an inspirational Facebook quote before you hit the gym is great, but when you are in the thick of a workout or faced with a tempting slice of cheesecake, those words are the last thing on your mind. Podcasts, I feel, are the most under-utilized but most effective fitness tool around. 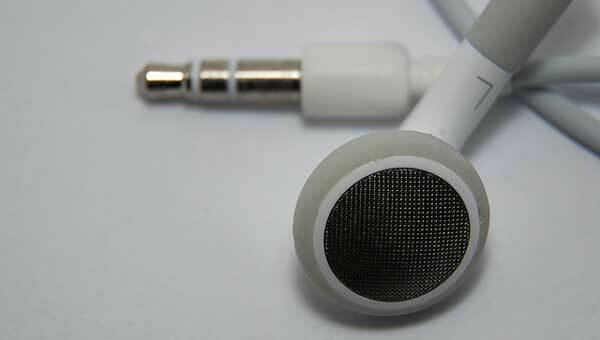 They are almost like little angels on your shoulder, whispering in your earbud to make the right choice. Podcasts are also great because you can choose the specific information you want to learn, from your favorite sources and experts, so you get exactly what you want. Here are some of our favorite podcasts, with a little something for everyone. Whether you like Pilates, are into fitness or are trying out the Paleo lifestyle, there is a podcast for you. 1. The Jillian Michaels Show. America’s toughest trainer Jillian Michaels delivers an inspirational podcast that never fails to entertain. Let Jillian be your personal trainer, motivator and no-nonsense voice of reason. If you love all things Jillian, don’t miss her podcast—it’s one of the most personal experiences you can get outside of The Biggest Loser ranch. 2. Motivation to Move. We’ve said it before and we’ll say it again: Motivation to Move is one of our favorite podcasts. Motivational speaker Scott Smith never fails to bring us the latest and greatest in health and fitness, and starting your day with a brand new “Motivation To Move Minute” will leave you energized to power through your day and stay on track to help you reach your goals. Thanks for this post! Jillian Michaels’ is my favorite podcast. I enjoy Beyond Diet (http://beyonddietpodcast.com/?cat=4) but it’s not updated as frequently as I’d like. I listen to Dishing Up Nutrition, too (http://www.weightandwellness.com/radioshow.html). I look forward to checking out the podcasts in the post – thanks!